IBM-owned The Weather Company is launching Watson Ads, a new ad tech solution that utilises machine learning to give consumers an ability to interact with digital advertising. In what the vendor claims is the first consumer use of its cognitive computing technology for advertising purposes, Watson Ads will allow advertisers to produce display ads that invite consumers to interact through voice and text with a product or service offering. The Weather Company has confirmed three brands - Campbell Soup Company, Unilever and GSK Consumer Healthcare – will be the first to take up the new ad solution when it launches later this year. As an example, the media company said a consumer could ask through natural voice recognition what they should make for dinner that night. Watson will then provide a data-driven response using a combination of machine learning and reasoning ability from datasets ingested by the system. “The dawn of cognitive advertising is truly a watershed moment. Now as part of IBM, we have even more tools and technologies at our disposal to inspire innovations within advertising, artificial intelligence and storytelling,” said The Weather Company’s general manager, consumer products, Domenic Venuto. The Weather Company intends to create the Watson Ads Council, which will work closely with marketers and act as a sounding board for latest innovations leveraging Watson Ads and cognitive advancements in advertising. Unilever and GSK have not confirmed which specific brands will debut Watson Ads first. IBM acquired The Weather Company last October, a decision its CMO of Commerce, Social and Mobile, Maria Winans, recently told CMO was twofold: Firstly, for its data platform, the second-largest local services platform after Google; and secondly, because of the opportunity weather location data presents to marketers, the supply chain and wider business teams. The company delivers up to 26 billion forecasts daily for 2.2 billion locations. "Initially this was a partnership, but then we saw there was a lot more than just leveraging that data and in that the platform, so we acquired them," she said during the recent IBM Amplify conference. 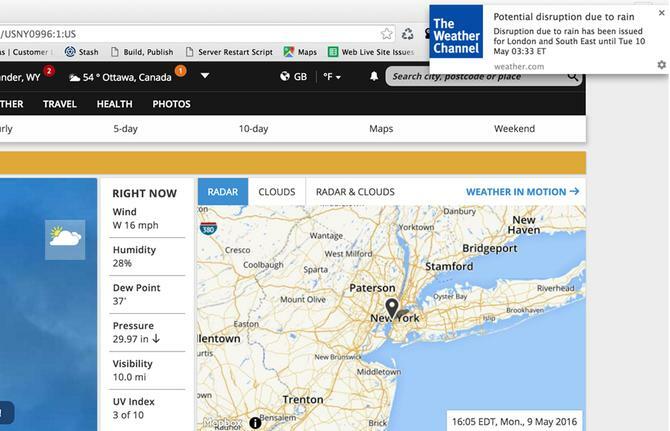 As a starting point, The Weather Company’s data has been brought into IBM’s Marketing Cloud as event data within its Journey Designer feature, allowing marketers to further contextualise and personalise campaigns. "By bringing this into our platform, we are providing marketers with more contexts and triggers to personalise campaigns and journeys," Winans commented. IBM is also looking to bring Watson capabilities to its wider marketing technology and ecommerce proposition. At its annual IBM Amplify conference in May, the company revealed plans to embed cognitive initially in two ways. The first is through Real-Time Personalisation within the IBM Marketing Cloud (formerly Silverpop) using cognitive Rule Adviser, which employs machine learning to learn, advise and suggest the offer and message that should be shared with digital customers. The second application is in IBM’s Commerce platform through Commerce Insights, which provides users with a real-time view on how products and categories are performing online. Watson Ads will launch first exclusively across The Weather Company properties, but the company said expected to have broader implications for other marketing channels, including out-of-home, television, connected cars and social media platforms.